New domain registrations hint at an alternate future for the already alternate-future FPS Metro 2033. Remember how Metro 2033 has a sequel in the works? Well, It turns out that the game may not have the title Metro 2034. 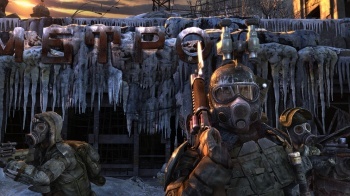 Instead, it turns out that the new game may be called Metro 2033: Last Light. It turns out that Superannuation stumbled across some THQ domain registrations that refer to something with the aforementioned title. Amongst the domains is "lastlightgame.com" "metro2033lastlight.com" and "metrolastlight.com". Now, it's well-known that THQ recently teamed up with Random House in order to start working on new IPs and create various tie-in products for them. Metro 2033 was actually based a novel with the same name, so it's not unreasonable to assume that there might be another book in the works. That said, the "lastlightgame.com" registration certainly implies that there will be at least be an associated videogame.